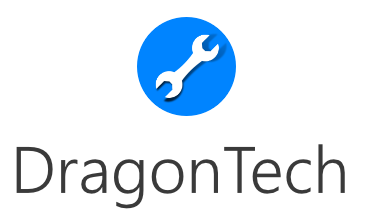 See https://www.dragontechmc.com/wiki/m/39190744/page/Mod_Suggestions for a template and rules regarding mod suggestions. I think you guys should MineColonies because it'll add cool aspect/addon to this modpack as it fits the name and the type of server that it is. Players can create their own Colony that they can control and grow, they can farm, mine, bake, build, guard, you name it. Players will have alot of fun with this mod added to the current pack. Thanks for reading!!! MineColonies is a very large RPG mod, it's also a mod which requires a modpack to be build around it, it can't just be added to any old modpack. We removed the RPG theme from Farmitect over a year ago as we didn't have anyone to run it anymore. Also please follow the template for mod suggestions next time. Quick navigation ------------------------------------------------------------------DragonTechMC General Rules, Information and Notices General Discussion Introdutions Staff Assistance Off Topic ------------------------------------------------------------------Dragon Industries [DI] General Discussion [DI] Tutorials [DI] Suggestions and Discussion [DI] Bug Reports etc ------------------------------------------------------------------Farmitect [FT] General Discussion [FT] Events [FT] Tutorials [FT] Suggestions and Discussion [FT] Bug Reports etc. ------------------------------------------------------------------Arcana Technologies [AT] General Discussion [AT] Suggestions and Discussion [AT] Bug Reports etc ------------------------------------------------------------------Nova Tech [NT] General Discussion [NT] Suggestions and Discussions [NT] Bug Reports etc.